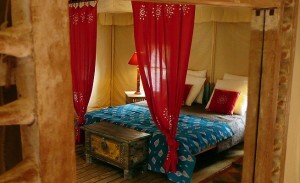 Secluded and bathed in morning sun, Lily (42 m²) is the wildest lodge of the camp. 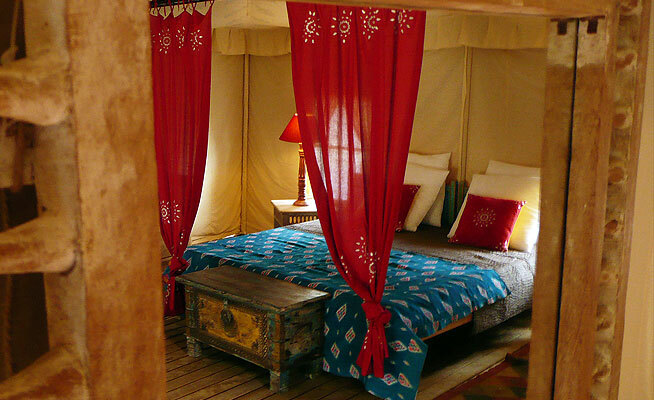 Inside the lodge, you will find a spacious room and a lounging space with low table and sofas . Its terrasse opens out towards the pine forrest .